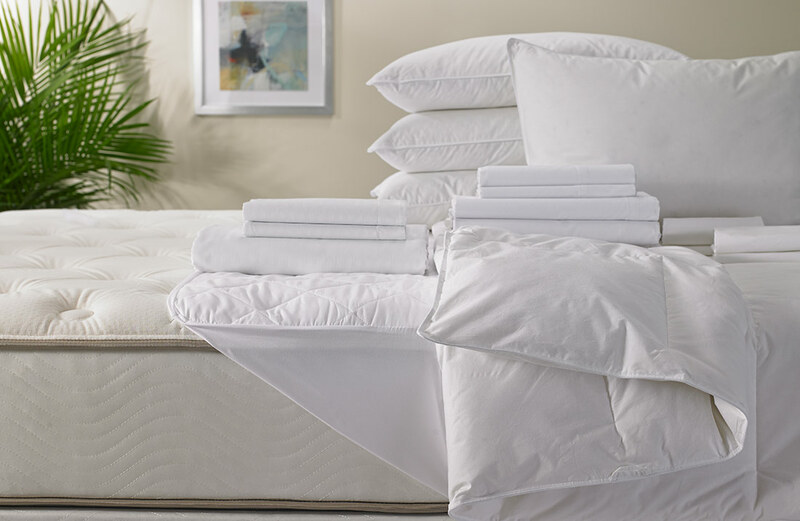 Inspired by Gaylord Hotels’ “everything in one place” approach, the Striped Bed & Bedding Set is everything you need for luxurious sleep. 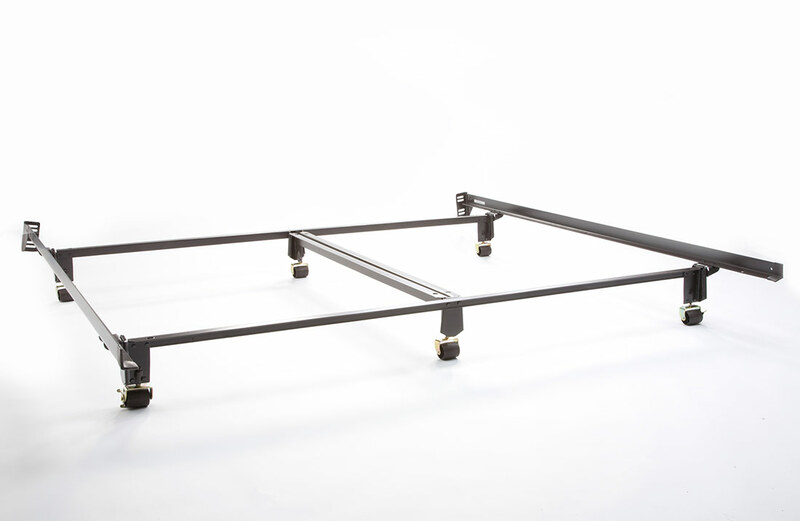 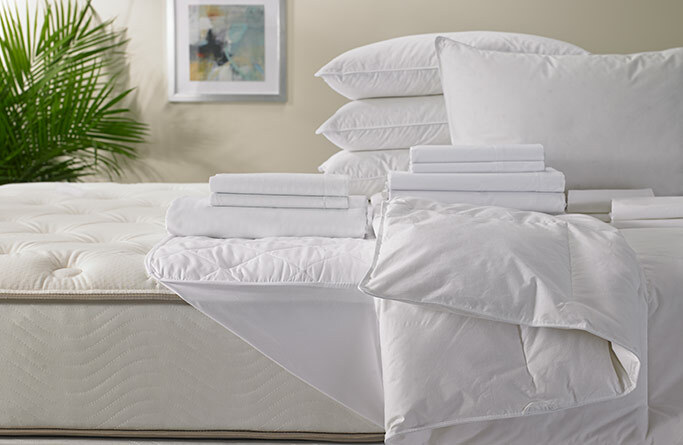 The soy-based comfort-foam mattress and pocketed-coil box spring provide the foundation. 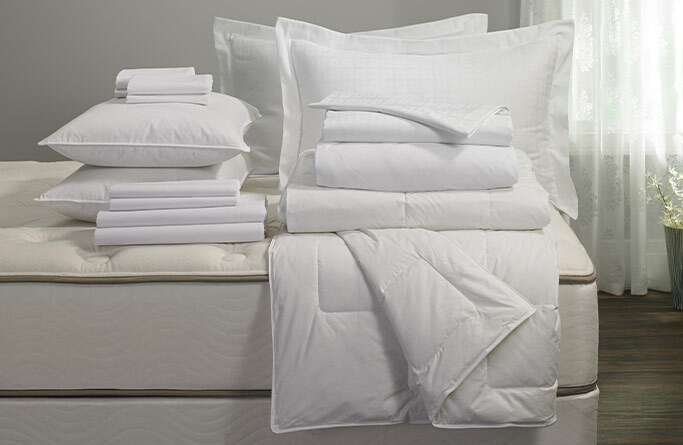 Next are layers we’ve created for a more finished top-of-bed look in your home. 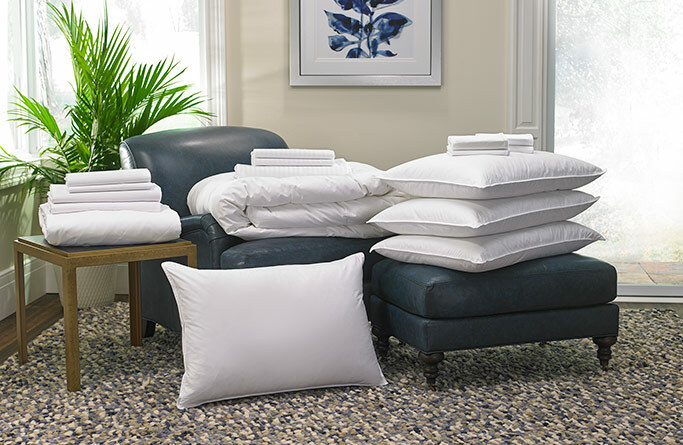 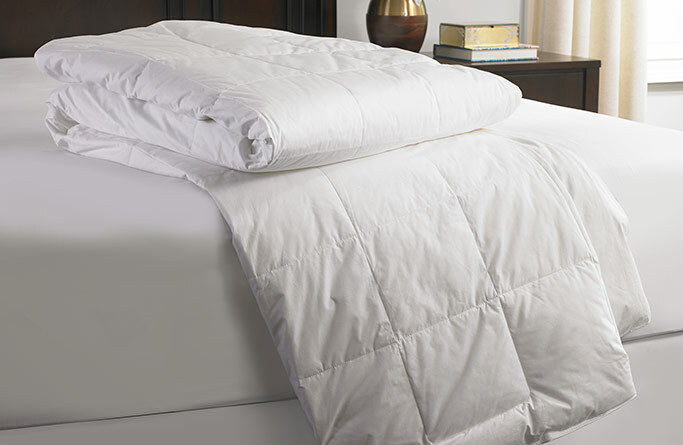 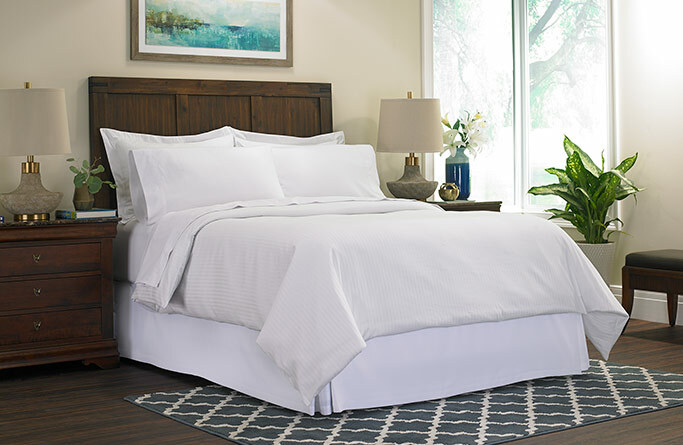 The duvet cover and pillow shams feature classic white-on-white stripes, while the mattress topper, down comforter, four pillows, four pillow protectors and a complete sheet set complement the look in timeless white.